Movenpick MS Prince Abbas 5* Deluxe Lake Nasser Cruise Ship with optional sailings of a 4 day Abu Simbel to Aswan cruise,or 5 day Aswan to Abu Simbel Cruise.It is the only way to visit many of the spectacular and often unseen Nubian monuments. Visit Kalabsha Temple, Wadi El Seboua, Amada, Kasr Ibrim, and the Temples of Abu Simbel will remain in your memory for a lifetime.The cruise has 65 cabins-43 approximately 21m, 18 Junior suites 30m and 4 Royal suites 40m. Met and assisted upon arrival at Abu Simbel Airport by our Travel Representative who will then accompany you to your Lake Nasser Nile Cruise Boat for check in and enjoy lunch on board. 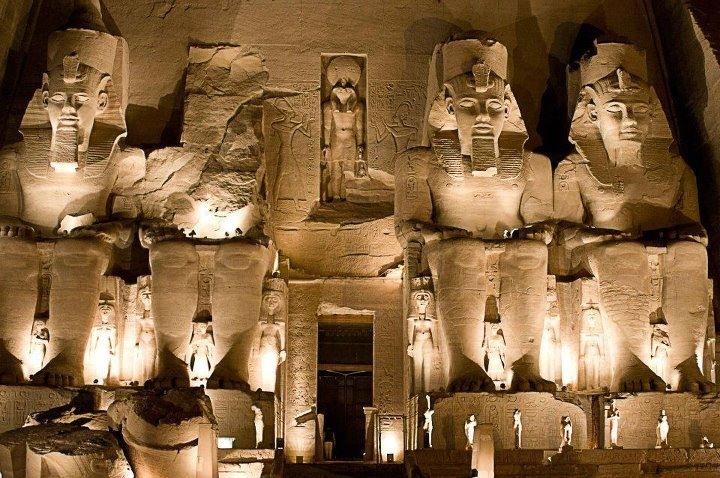 You will then be escorted by your expert Egyptologist Guide to visit the outstanding and largest Temple at Abu Simbel and get the opportunity to hear and discover it’s history. Note : There is an optional ‘Sound and Light Show’ (highly recommended) also at Abu Simbel. Breakfast on board then Sail to Kasr Ibrim with panoramic views. 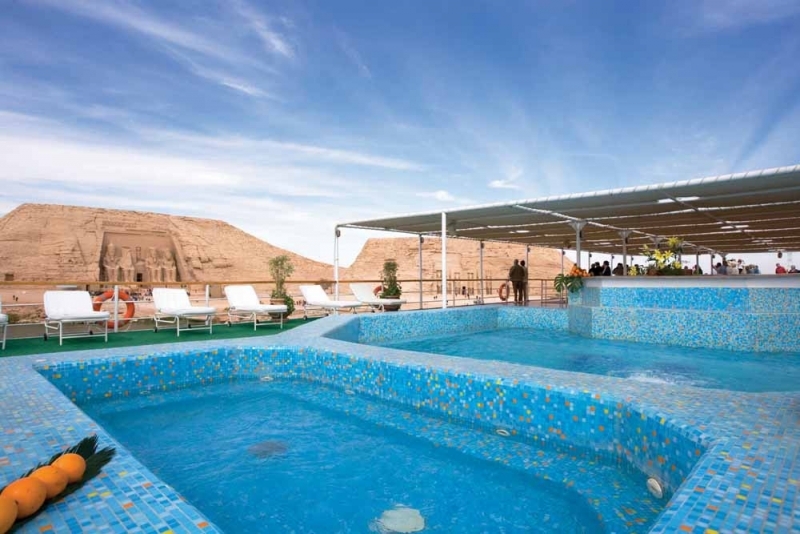 You will have the opportunity to view the Citadel of Kasr Ibrim via the ship's sundeck (entrance is not permitted).Sailing on to Amada where there will be a visit to Amada and Derr Temples and Tomb of Pennut then finally sailing on to Wadi El Seboua. Your evening programme will include a cocktail party and Nubian Show on board staying overnight in Wadi El Seboua. Enjoy your leisurely breakfast on board then the opportunity to visit the Wadi El Seboua Temples. 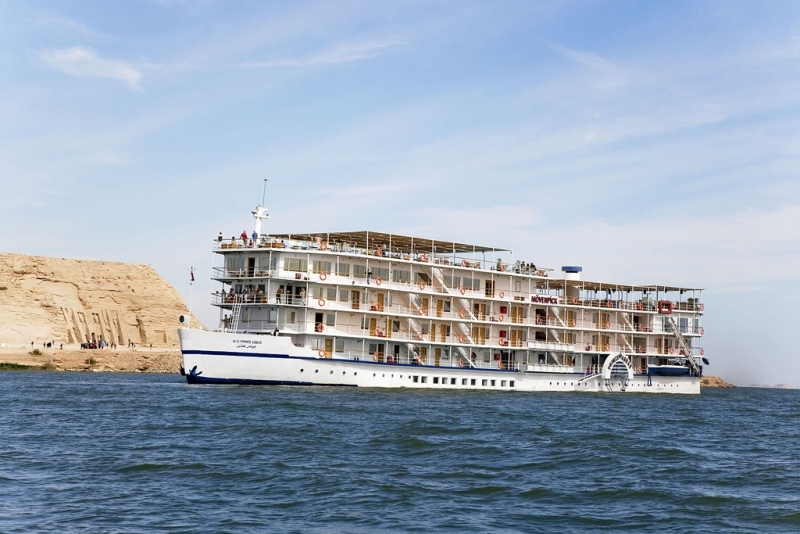 Sail To Aswan with an overnight stay. Breakfast on board then a final tour of Kalabsha Temples. Disembarkation at 12:00 noon and transfer to Aswan Airport. Met and assisted upon arrival at Aswan Airport by our Travel Representative who will then accompany you to your Lake Nasser Nile Cruise Boat for check in. Relax with lunch on board and the rest of the day to relax followed by afternoon tea and dinner. Over Night at Aswan. Enjoy your breakfast on board followed by a visit to Kalabsha Temples then sailing on to Wadi El Seboua. You can look forward to a cocktail party after dinner and an overnight stay in Wadi El Seboua. Breakfast on board then your tour of Wadi El Seboua Temples then Sailing on to Amada for a visit to Amada and Derr Temples and Tomb of Pennut. Your lovely day will end on board after dinner with a colourful and exciting Nubian Show. Overnight at Amada. After breakfast, you will sail on to Kasr Ibrim where you get the opportunity of panoramic Views of the Citadel at Kasr Ibrim (entrance is not permitted). Sail to Abu Simbel where you will get to explore the magnificent Abu Simbel Temple. There is an optional Sound & Light Show at Abu Simbel (highly recommended). Overnight at Abu Simbel. Breakfast on board. Disembarkation at 12:00 noon for your transfer to Abu Simbel Airport.